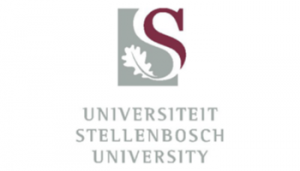 As an undergraduate student at Stellenbosch University, you will have access to excellent facilities for teaching and learning since we are regarded as one of the technologically most innovative campuses in the country. A comprehensive range of undergraduate (Bachelors) programmes, many of which are taught in Afrikaans is offered. Participation at the undergraduate level requires a working knowledge of Afrikaans. We trust that your undergraduate student experience in all its dimensions will provide you with ample opportunity to develop the multitude of skills required, preparing you for the world of work. Study Part 2 of the Bursary Calendar to determine which bursaries and/or bursary loans you qualify for. Fill in the names of the bursaries and/or bursary loans for which you are applying on p1 (Section C) of the application form. If a bursary loan is awarded, the applicant and the surety will be required to complete a Promissory Note and a Deed of Surety in order for the loan to be transferred onto the student account. After registration these forms must be collected, completed and returned to the Bursaries and Loans Section, Admin Block A, before 30 APRIL. Only students with South African citizenship may apply for bursaries and/or bursary loans. Financial assistance is granted on the bases of academic merit and financial need. Students must have passed not less than two-thirds of their credits to qualify for financial assistance. The applicant is financially needy when the family do not qualify for a loan from a bank or is not capable of making a payment towards the child's studies. Bursary and/or bursary loan can only be used for tuition, accommodation (on campus or private), meals and text books. It may not be utilised for travel fees, equipment, stationary, membership fees for societies or gym tariffs. A student is awarded a merit bursary if he/she obtains a grade 12 average of 80% (excluding Life Skills) or more in the Grade 12 final exams. Merit bursaries are calculated as a % of the tuition fee by means of a sliding scale with the smallest rebate for the lowest category (80+) and the biggest rebate for the upper category (95+). The rebate for the category 80 tot 84,9% will be at least 33%, with the % rebate for the upper categories continuously higher. Please note: Candidates who matriculated before 2008, must have obtained an aggregate of 85% or more in their final Grade 12 exam to qualify for a merit bursary. Merit bursaries are awarded automatically, however Grade 12 learners, who have taken their examination with a body other than a provincial department of Education, have to apply for a merit bursary. A senior student is considered for a merit bursary if he/she achieves a weighted average of 75% and more. Merit bursaries are calculated as a % of the tuition fee by means of a sliding scale with the smallest rebate for the lowest category (75+) and the biggest rebate for the upper category (95+). The % rebate for category 75 to 79,9% will be at least 25% with the upper categories continuously higher. SU bursary loans are allocated on the basis of the financial means test and the availability of funds. From R2 000 up to R38000 are awarded against the prime interest rate minus 4%, effective from the date of allocation. The loan is to be repaid over the same number of years as received, starting immediately after completion of studies. Incentives are built in which will turn a section of the loan into a bursary depending on the percentage credits passed. Applications of candidates who present foreign qualifications are evaluated by the Postgraduate and International Office and recommended for consideration to the respective Faculties. Applicants should supply a complete application pack according to the requirements of their programme of interest. If final results are not available, applicants should submit predicted results or their most recent official results.